It seems everyone is throwing their hat into the virtual reality game this year, with HTC, Google, Facebook (Oculus), Lenovo, Sony (and many more) releasing their VR headset, we decided it was a good idea to pit them against each other and discover the best headset. ← If you want to jump to a specific headset, then click on the table of content on the left hand side to discover the good and bad behind every model. So what’s the best virtual reality headset? Right now it’s too early to tell even though there are quite a few strong contenders. Each have their own pros and cons and ultimately, it’s the third party support that will likely determine the victor. 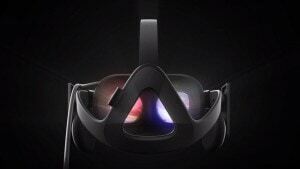 Right now, we have the Oculus Rift with the most momentum. When people think “Virtual Reality”, they think Oculus. The company has been developing it’s software & hardware platform for many years which makes it seem as the most refined platform. The company behind it is now Facebook so it has virtually unlimited funds and what seems to be the widest support at the moment. In addition, the CEO has prioritized quality over quantity (good move in my opinion) which was quite a point of controversy when the price tag of the public Oculus Rift was announced. I’m glad they didn’t compromise in quality in order to lower the price because prices can always change but the first impression you get when you use it will likely last forever. It is difficult to see how the Oculus can fail. At worse, it will be tied with another major player in the industry and still receive a tremendous amount of support. 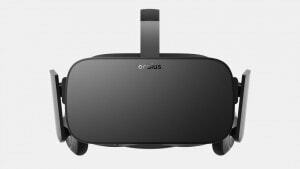 As it stands, my money is on the Oculus Rift as the best virtual reality solution. With that said, the competitor that seems hot the heals of the Oculus Rift is the HTC Vive. 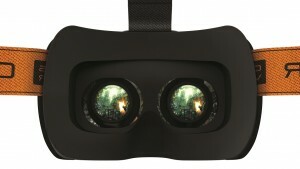 Having Valve, the company responsible for single-handily saving computer gamers, as a main supporter means that the HTC Vive is likely to receive some of the best virtual reality games. Imagine if Half-Life 3 is an exclusive HTC Vive release? That title alone would likely encourage most of the PC gamers that I know to take the HTC Vive over the Oculus Rift. The HTC Vive is also (surprisingly) beating the Oculus Rift to market which means that it will be getting a head start over the Oculus Rift in the public’s eye. It appears as if HTC is going all out with this one and I wouldn’t be surprised to see them become the platform of choice for gamers. – Gabe Newell, CEO of Valve, recently had his “Oprah moment”, when he gave away HTC headsets to everyone who attended the Unity Vision summit. 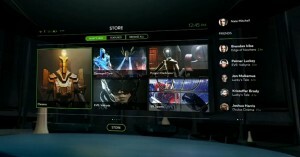 HTC isn’t the only one fighting for gamers as Sony enters the virtual reality ring as well. 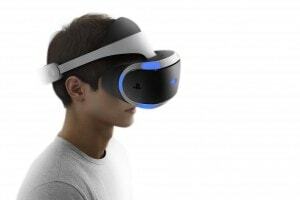 When they release a virtual reality headset for the Playstation 4, it is likely going to be a no-brainer upgrade for millions of gamers. We all know Sony has been a top contender in the gaming industry for a while now so it will be interesting to see how it pans out. Before we get started, here is a quick comparison chart of all virtual reality headsets put together. We’ll be updating it as headsets are released and new information is revealed about each model, so if you want to keep your finger on the pulse of VR news, we recommend bookmarking this page for reference. 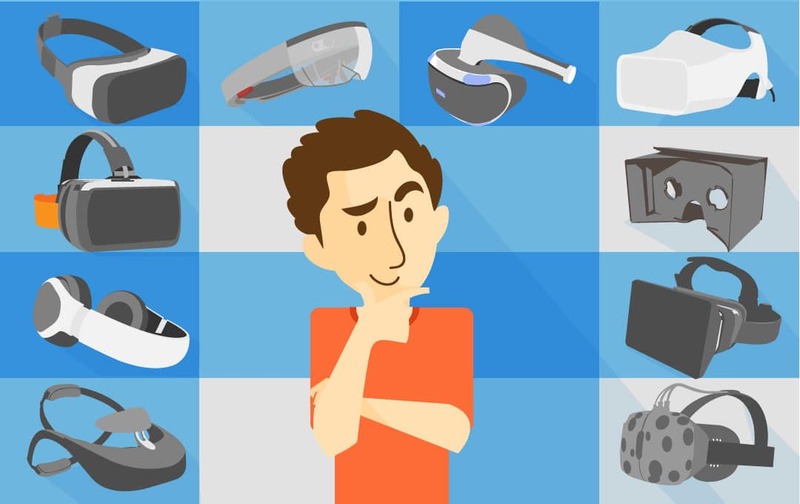 Surprisingly, that’s just the tip of the iceberg when it comes to VR headsets this year. It seems as if nearly ALL the major companies are developing their own headset and they all have their own specific audience in mind. Google already has the cardboard version out which makes VR accessible to anyone with an android smartphone. 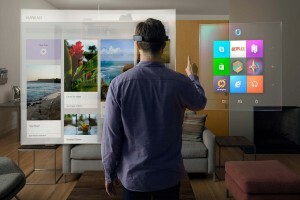 Microsoft is going the augmented reality route, targeting both gamers and commercial applications. Razer is going to be catering to gamers, already integrating with Steam. 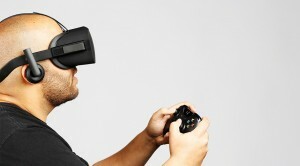 Last, but not least, Samsung is partnering with Oculus to provide compatible hardware. The Vive is the product of years of Research and Development from Valve. While HTC will be the hardware manufacturer, it is the result of a close partnership between the two companies. The Vive is being billed as the Premium, full-featured VR headset. HTC has focused on making a headset that can do everything right out of the box in exchange for a slightly higher price tag. The display of the Vive is excellent quality, although reports indicate that pixelation is slightly more noticeable than on the Rift. The Vive display does have a couple advantages, however. One such advantage is ‘Mura Correction’, a term coined by HTC which describes their correcting of the ‘linen effect’. This is a common problem with headsets where looking into dark areas produces the effect of looking at the scene through a piece of cloth. The Vive also features a higher vertical field of view for more comfortable and balanced standing experiences. The HTC Vive is not as weightless as the featherlight Rift, but it is still light and comfortable enough for extended sessions. It was chosen to be used in an experiment where an individual would wear a VR headset for 48 hours straight, and the subject claimed that he experienced “no problems”[source] even after such an extended period of time. Your mileage may vary, but the Vive is certainly comfortable enough for most people. The Vive will come with two wand controllers which feature touchpads with positional haptics, like those featured on the Steam Controller. Unlike Oculus’ motion controllers, the Vive’s cannot be used as a standalone gamepad and are exclusively for use with motion controls. There are no action buttons or joysticks on the Vive controllers. However, by utilizing the positional haptics, the touchpads can emulate the feel of trackballs, joysticks, scroll wheels, d-pads, and buttons. 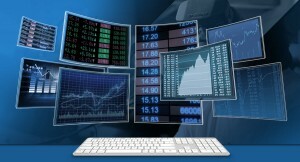 The touchpads also offer some functionality not possible with other input methods, such as typing on them like a smartphone, or mouse-like precision control. A blessing and a curse of the Vive controllers is that they are gaming-agnostic, meaning that while they may not be what many gamers are used to, they can be immediately understood by anyone whether they have gaming experience or not. Instead of having to teach a new customer or your grandmother what button does what and how to use a joystick, the controls are as simple and as intuitive as using your hands. Another advantage to the controllers being gaming-agnostic is that they may be more appropriate in professional environments. The Vive uses the Lighthouse Tracking System. 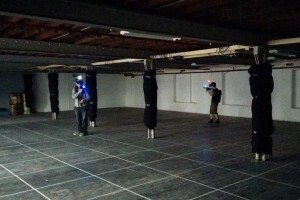 It tracks by utilizing invisible lasers picked up by sensors on the headset and controllers. While not as future-proof as the Constellation system, at this point in time, Lighthouse is a far more elegant and efficient solution. The Vive comes with 2 Lighthouse ‘base-stations’ which cast the invisible lasers. These 2 units do not require connection to a computer and can even be used wirelessly for approximately 30 hours. Once the two units are mounted in opposite corners of a room (15×15 ft. or smaller) using no-damage adhesive mounts, the user can be tracked within the entire room at any angle. You can jump up and down, spin around, lay down, and even crawl without losing tracking. This means that roomscale functionality will be available with any Vive, allowing you to walk around in your environment with no additional purchases. While not officially supported at launch, Lighthouse was designed to be highly scalable, allowing areas of essentially unlimited sizes to be tracked simply by adding more Lighthouse base-stations, which will also be much less expensive than a camera unit. Expect to see any of the larger scale ‘VRcades’ utilizing Lighthouse for their warehouse-sized experiences in the future. Another function of this camera is that it will allow you to see and make full use of your desktop or work area. You will be able to use your mouse and keyboard, your smartphone, wacom tablet, or any real world object without relying on sense of touch alone. This will be a great feature for those interested in Virtual Desktops, Productivity Apps, or even fast-paced mouse and keyboard gaming. The Vive currently can only access the Steam Store for its games and applications. At this point in time there is no official support for The Vive on The Oculus Store, which means that titles exclusive to The Oculus Store will not be available for The Vive at launch. However, all of the many roomscale and 360° titles will be exclusively playable on the Vive at launch. There are currently some really fantastic roomscale games, most of which have a strong social aspect and are designed to be fun to play with a group of friends. Additionally, with SteamVR’s ‘legacy mode’, any of the 7,000+ games from the Steam Store may be played on a virtual screen using standard mouse and keyboard or gamepad controls. The HTC Vive is for the gamer or the professional who wants to see everything that VR has to offer straight out the gate, and who doesn’t mind paying a bit extra for it. It is for people that want to be a little more active in their VR sessions and don’t necessarily want to be sitting down all the time. 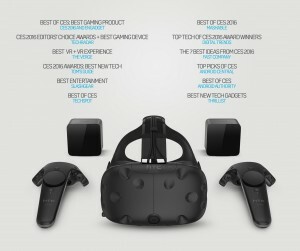 The Vive would also be the best choice for people whose main reason for getting into VR is to show it to family or friends or to play at get-togethers. The Vive is not a good choice for those on tight budgets who do not want to pay extra for roomscale functionality, or for those who value weight and comfort above all else. The Oculus Rift has been around for longer than any other headset on this list, and is usually the one that people think of when you mention Virtual Reality. It doesn’t have as many features as some other headsets, instead Facebook’s Oculus team has focused on providing the best possible vanilla VR experience the highest level of fit and finish. Firstly, although the display specifications are identical to the HTC Vive, preliminary reports suggest that the image quality is slightly better on the Rift, due to its heavily-engineered optics system. The lightness of the Rift is incredibly impressive, and is probably the standout feature of the headset. It has been compared to feeling more like a baseball cap than a headset on your face, which is very important for longer VR sessions. 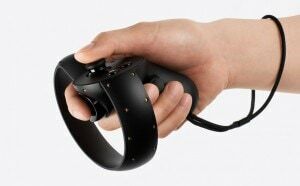 The Rift will eventually have ‘Touch’ branded motion controllers which allow you to use your hands in the virtual world. The Touch controllers have standard joysticks and face buttons which allow the controllers to be used like a regular gamepad while resting on the user’s lap. 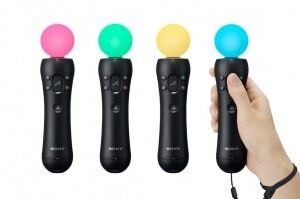 The Touch controllers will be immediately familiar to any gamer. They also feature rudimentary finger tracking, which allows you to point or give a thumbs up in the virtual world. The Touch controllers will come with an extra tracking camera, which when paired with an existing camera on your desk, will let you turn 300° while sitting or standing. The Touch controllers have been delayed until late 2016, so instead the Rift will come bundled with an Xbox One controller. 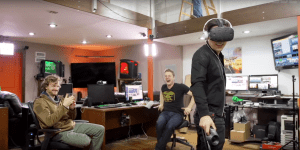 The Rift uses the Constellation Tracking System which utilizes cameras to watch the user, and LED markers on the headset and controllers, similar to how Motion Capture is done in today’s movies. It’s a forward-looking design choice: in the future, a camera-based system could allow an entire user’s body to be tracked and represented in the virtual world. However, currently the system has some significant caveats. The Rift will come bundled with a single tracking camera, which will allow you to use the headset while sitting down or standing. However, you will not be able to turn around with controllers or step outside of the field of view of the camera. This means the Rift currently is not capable of ‘roomscale’ or full 360° experiences, meaning you can’t actually walk around in the virtual space, or turn in a circle while using controllers. There has been no confirmation that the Rift will ever officially support roomscale, however Oculus founder Palmer Luckey has suggested that more than 2 cameras would be required for it to work perfectly, if it ever should be supported sometime in the future. This would mean that in addition to purchasing the headset and controllers, a user would also need to purchase 1-2 extra cameras to get roomcale functionality. 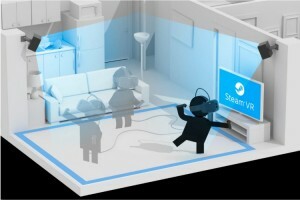 This lack of built in support is causing developers focused on delivering roomscale apps and games to target the Vive as their primary device. Another strike against the Constellation System is that each camera requires a wired USB 3.0 connection to a PC. If roomscale functionality is ever officially supported, one would need to use USB cable extenders to connect a PC to cameras in four corners of a room, and manage the wires. Also, many people may not even have 5-6 free USB 3.0 ports on their PCs. Finally, there has been concern raised about privacy issues with the cameras. Despite being marketed as ‘sensors’, they are fully functional cameras and are required to provide a live feed to your PC in order to work. The concern has been raised because Facebook is a company that has always sold user’s private information to third parties, and therefore has very little regard for privacy. There has been no official response to these concerns. The Rift will support both The Oculus Store and the Steam Store. The Oculus Store will have a number of exclusive titles at launch including EVE Valkyrie (a spacecraft shooter) and Lucky’s Tale (a 3D platformer). However, at launch all roomscale or full 360° games will be unavailable on the Rift, or heavily altered to match its spatial limitations. As an added bonus, for those with both an Xbox One and a Rift-compatible PC, Xbox One games can be streamed to the Rift and played on a virtual big screen television. Currently the Oculus Rift is for the Gamer who wants to just relax on the couch and spend many hours in VR with standard Xbox game controls. The Rift will not be the best choice for those who want to be able to try walking around in VR due to its sub-optimal tracking system. The Rift also is not for for people who want to try to use their Mouse and Keyboard for gaming or productivity in VR, due to its lack of front-facing camera. There are artistic apps like Oculus Medium or the upcoming Quill which will be made available for it, but right now the Rift is first and foremost a gaming device. 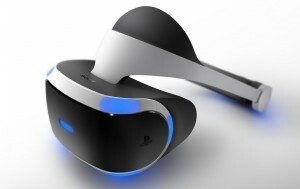 PSVR is a VR system produced by Sony’s PlayStation division. It is usable only with PlayStation 4 consoles and not with PCs. 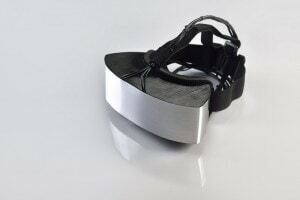 It is being billed as a must-have accessory that will turn consumers’ consoles into VR rigs without them having to spend hundreds or even thousands of dollars on expensive PC hardware. The quality and functionality of PSVR is going to be less than what you will find on the HTC Vive or the Rift, but it is already projected to be the most successful high-end headset simply because of the number of people who already own a PS4. The Display and the field of view are both good, but not great compared to its higher-end peers, although its refresh rate is significantly higher than most. It is worth bearing in mind that the display specifications were chosen to exactly match the limit of what the PS4 hardware was capable of driving, so it is more a graphical limitation than a concession of quality. The PSVR is very comfortable, although there is currently little knowledge of direct comparisons to other headsets. PSVR uses a PlayStation Move Camera as a tracking system and Move controllers. It is currently unknown whether or not it will be bundled with these items or whether they will be separate purchases. The tracking system currently will have the same limitations as the Rift at launch, with experiences limited to forward facing with controllers, and no walking around. 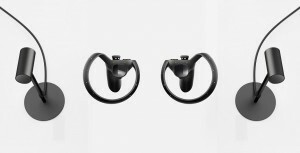 The Move controllers have already been released for years so users are already familiar with them, however their design does not allow for the sub-millimeter tracking accuracy provided by the Rift or Vive. It is likely that an updated version of the controllers will be released, though there has been no confirmation as of yet. PSVR uses the PlayStation Store for games and apps, which has upwards of 50 million accounts. 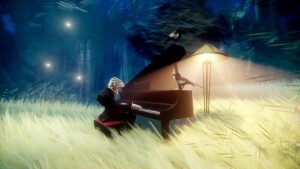 There are a significant number of PSVR exclusives including Dreams by the maker of LittleBigPlanet. PSVR will not be able to work with SteamVR or The Oculus Store, which means that there will likely be many titles that will be unplayable on the system. The PSVR is for people who own PlayStation 4’s, or who are interested in owning one, end of story. If you already own a PC capable of driving the Rift or the Vive, the PSVR is likely not your best option. OSVR itself is not an individual headset, it is a hardware platform for modular headsets that allows anyone to manufacture and sell parts. Similar to PCs, a customer can pick and choose their own parts to suit their needs and budget, and buy accordingly. 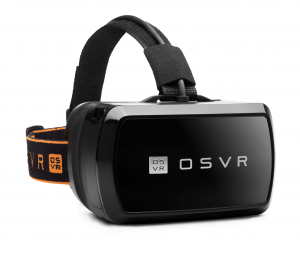 The OSVR Hacker Kit is a headset put out entirely by Razer for use as a developer kit. It is not a consumer product, although it is available for purchase. The display is a decent resolution, identical to that on PSVR. However, the optics are less than perfect, and overall the quality of the image is fairly poor in comparison to its peers. Comfort is also not great, but due to the modular nature of the hardware, optional faceplates can be attached to make the unit more comfortable. Bear in mind however that this is not a consumer product, so the final versions will likely be vastly improved. For controllers, Razer offers the Razer Hyrdra motion controllers, which are extremely accurate but require the user to face forward. They are comfortable, have standard gamepad inputs, and already have support from game developers. 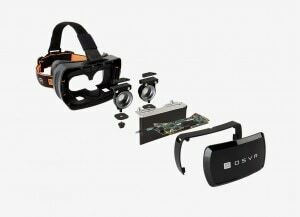 The OSVR Hacker Kit will come bundled with a Leap Motion 3D controller which can be mounted on the front of the headset and track the user’s hands. While impressive, this technology is still in the developmental stages, and not quite at a consumer-ready level of polish. 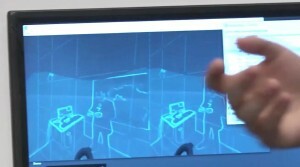 For tracking, OSVR uses an Infrared camera connected to a PC. Currently there is no roomscale or 360° functionality as there is no way to buy extra cameras nor software to support them. OSVR is in the process of building their own software publishing platform, but currently there is no Storefront. However, there exist unofficial methods of getting the OSVR Hacker Kit to work with SteamVR. The OSVR platform is aiming for users who like to have complete control over their hardware, and who want to be able to upgrade without having to buy a completely new headset. For those who care more about quality than customization, OSVR will not be the best choice. 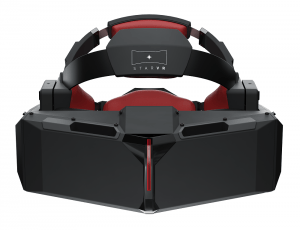 StarVR is a headset by the recently established company Starbreeze. It is currently only in prototype stage, no developer kits have yet to be released. 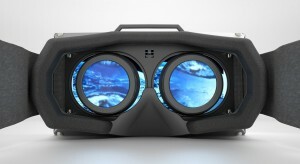 Where it differs from its peers is in its massively wide field of view, almost double that of the Rift or Vive. The pixel density of the displays are no higher than most headsets, but there are more pixels on this headset than any on the market due to the massive amount of screen real estate. It is one of the only headsets that will give users full peripheral vision, which greatly adds to immersion. 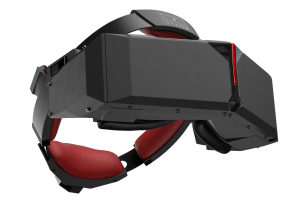 The trade-off for this is that StarVR is one of the heaviest and most unwieldy headsets on the market. Only time will tell if Starbreeze will be able to engineer a head-mounting system that fixes these comfort issues. There is currently no confirmed information as to tracking systems, first party controllers, or Software Store support. However, members of Starbreeze have stated that they are interested in using the Lighthouse Tracking system invented by Valve that is used with the HTC Vive. The Lighthouse system is open and royalty-free, meaning that once it is released, any manufacturer will be free to use it without cost providing they do not violate the standards. As it is currently the best tracking system available, it is very likely that StarVR will end up using Lighthouse Tech, in which case what has been said about it in the Vive section will also be applicable here. If Valve’s system is used, SteamVR will likely also have official support, and if not, as with OSVR there will almost certainly be unofficial ways of accessing the Steam Store. Whether or not Starbreeze plans on starting their own proprietary store remains to be seen. StarVR is for those with top of the line gaming PCs, and who don’t mind paying top dollar for the most immersive experience possible. This headset might not be for you if weight and comfort is a primary concern, or if you are on a budget. The Fove headset is made by the startup of the same name, it is currently in prototype stage. The Fove has above-average specs, but it has a singular feature that currently no other headset on the market has: eye-tracking. 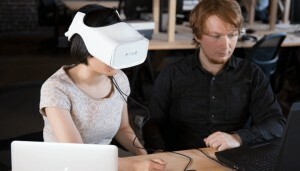 Currently the major selling point of the Fove is to be able to experiment with what interesting things can be done when using eye-tracking within the realm of VR. It may not be immediately apparent why eye-tracking is so exciting for use with VR, but I assure you, it will almost certainly be a mandatory feature in all headsets in the future. Eye-tracking can be used to control a cursor with a speed and precision that is entirely impossible with a mouse, and in 3 dimensions as supposed to 2. It allows you to have a user interface that is completely hands-free. It allows you to have interesting game mechanics, such as a character who gets angry at you if you maintain eye contact. By far the most interesting use for eye-tracking will be something that you won’t even notice at all within the headset, and it takes some explaining for those who have not heard about it. We view the world in what we perceive to be an extremely high ‘resolution’. In reality, the space in our vision in which we get high resolution information from is a miniscule section of our complete visual field (only twice the width of your thumb at arm’s length) called our foveal vision. 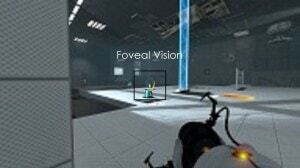 Our foveal vision is a tiny circle surrounding the point that you are looking at in any given moment. So when we are wearing a VR headset, we are essentially ‘wasting’ the high resolution of everything on the display that is outside of that tiny circle. The reason why VR will be so niche for the first generation is that it requires extremely powerful and expensive computers to provide dual high resolution images. However, it is possible that if a user’s eyes are tracked, a high resolution image could be generated only in the tiny section of screen that a user is looking directly at, and a very low resolution image outside of it. Done properly, we would never tell the difference. Freed of 95 percent of the graphical workload, games that would previously require an expensive desktop computer to run, could be powered by a small laptop, or even a phone. If Fove succeeds at their vision, the Fove headset could easily becoming a smashing success, as it would be the only one which could be powered by very low-end systems. Similar to StarVR, no tracking, software, or controller solutions have been officially announced, but Fove have also stated they are very interested in using Valve’s VR system, and it is very likely that they will do so. 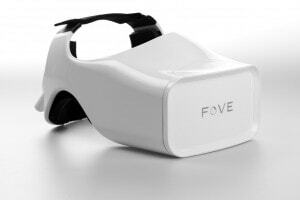 Currently the Fove is mostly for VR enthusiasts who want to experiment with this unexplored technology. It is not a good choice for those who just want to consume VR content. The Claire is a prototype headset startup Union VR. There has not been a developer kit released, but it has got a fair number of VR enthusiasts interested. The reason for this is its top of the line spec list. As such it is currently being marketed as the Rolls Royce of VR headsets. The single biggest attraction of this headset is its 4k display, which is an unmatched pixel density for a headset of this size. 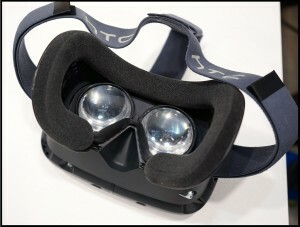 Its field of view is also extremely wide, topped only by the StarVR. There have been reports that the optics are currently rough around the edges, and the weight and comfort are not good at all, but again, this is a prototype. There is no information at all as to what tracking and Software solutions the Union Claire will use. It would be a safe guess to say that they could follow Fove and Starbreeze in using Valve’s open system, but at this point it would be speculation. The Union Claire will be for people with a spare-no-expense attitude about first generation VR, and essentially nobody else. This one almost didn’t make the list as it is technically not a VR headset, it is an Augmented Reality (AR) headset. 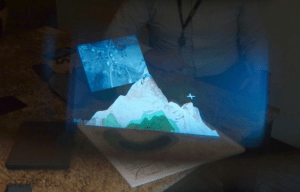 For the uninitiated, AR is when a 3D model of the user’s environment is generated through cameras and sensors on the headset, and virtual images are overlayed over the real world to appear as though they are in it. For example, an AR headset could tell the exact size, shape, and distance you coffee table is away from you, and project into your eyes an image of a chimpanzee that would appear to be sitting on your table. However, as it is the only AR headset currently nearing availability, and as most AR headset can double as VR headsets by blocking the lenses, it has been included on this list. It is made by Microsoft and it is nearing its first developer kit release. It was made to be the first of its kind, a self-contained AR headset that didn’t require to be plugged into a PC. It is a very impressive piece of tech that is currently held back by price and a few hardware shortcomings. There is no information as to the exact resolution of the projected image, all Microsoft has said is that it is “HD”, which could mean anything from 720p to 2k resolution. Sources state that the resolution is good enough for what it is, what they also state is that the field of view is terrible. Hold a small pizza box at arm’s length and you will get an idea of how narrow of an area the virtual image can be seen in. While this would be less of a problem with a VR headset, seeing the images dissolve into invisible edges is incredibly immersion breaking. That being said, Microsoft is very much aware of the disapproval, and I am sure it is the area they are most focused on for improvement. It is quite a heavy piece of gear as it has the hardware equivalent of a very large laptop stuffed into the circular frame. However, sources claim that Microsoft did an excellent job making the device comfortable after some adjustments are made. There has been no news of first party controllers for the device, as of yet all interactions are done with hand gestures which are picked up by front-facing cameras. 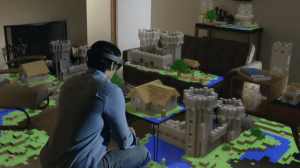 The Hololens uses an array of cameras and senors on its’s front to generate a 3D map of it’s environment in order to tracking its position as well as to be able to overlay virtual object onto real-world surfaces. The upshot of this is that no additional tracking sensors are required and the Hololens effectively is capable of roomscale experiences anywhere. 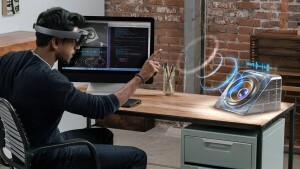 We know that Hololens will run a version of Windows 10, which is exciting, however we do not know exactly how it will be implemented, or whether there will be a specific app store for the device. 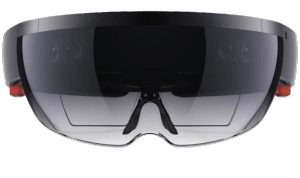 Currently, the Hololens is only for developers looking to experiment with what can be done in the medium of AR, or for tech lovers with 3000 dollars of disposable cash. Another device that almost didn’t make the list, ANTVR is a brand new startup with very little support and not much a name to itself. Its hardware doesn’t seem to have anything to set it apart from the crowd. It was only included because there recently has been a partnering between ANTVR and Lenovo, who launched a Phone + VR Viewer bundle, so a potential partnership or even acquisition could be on the horizon. The ANTVR headset is currently available for purchase, but has been getting very bad reviews by users. Everything from the screen, to the comfort, to the tracking system is subpar. For the tracking system it uses an Inertial Measurement Unit (IMU). IMUs are fine for measuring head rotation and look up/look down movements, but they are nearly unusable with VR once the user tries to move in any of the 3 dimensions. There is no word on a software storefront, although it is likely that the company is attempting to build their own proprietary store similar to The Oculus Store. The one redeeming feature of the headset is that the controller (not included) has the novel ability of transforming from a motion-controlled gun to a standard gamepad. Currently, I don’t think that the ANTVR Headset is a good choice for anyone. 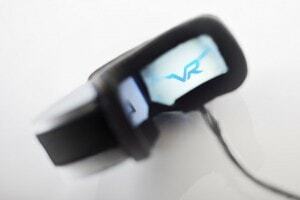 ANTVR’s Smartphone viewer headset. It is essentially a mix between a Google Cardboard headset and a GearVR headset. Most likely the only apps you will use with it will be Google Cardboard apps, even though Google does not officially support any Cardboard headset with straps. 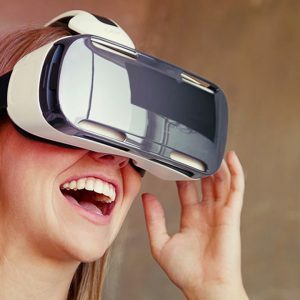 The reason this was included on this list is that it was recently bundled with a Lenovo smartphone targeted at delivering cheap VR, famously selling out of 10 thousand within the first 10 seconds of availability. The reason that a partnership with Lenovo is interesting is that Lenovo is set to deliver the first consumer smartphone with Google’s Project Tango spatial mapping hardware. This technology gives smartphones in VR viewers the ability to have full roomscale VR or even AR anywhere without trackers just like the Hololens. It will be interesting to see how the relationship with Lenovo and ANTVR plays out. At this point, the only real reason to own one is if you bought it in a Lenovo bundle. 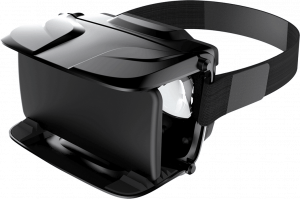 The GearVR is a collaboration between Facebook’s Oculus and Samsung. It was made for similar strategic purposes as Google’s Cardboard platform. 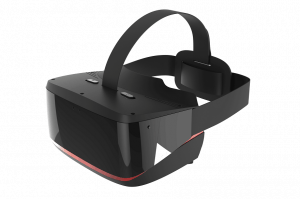 It is a device with a very low pricepoint that customers could use to try VR without breaking their bank. The quality of the GearVR is nowhere near what you will find on the HTC Vive or the Oculus Rift, but it is an extremely compelling experience, and portable to boot. For those lucky enough to have one of the compatible Samsung phones, the GearVR experience is worlds better than what will be found with a Cardboard headset. You may have noticed that on the comparison chart, the display resolution for the GearVR is significantly higher than that of the Rift, and wondered how this could be possible. The answer is that technically it is, but it will never be seen that way. The phones that the GearVR uses all have screens of that resolution, but the resolution that GearVR games are shown at will be much lower than that. That being said, the image quality of the GearVR is a cut above any other mobile VR currently on the market. 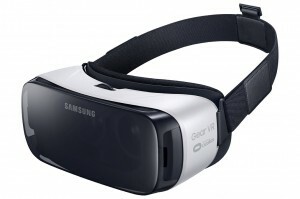 The main reason that the GearVR is only compatible with a particular range of Samsung phones is that there is some pretty serious custom software that pushes the phone’s processors to the absolute limit, and therefore requires careful optimization and collaboration with the hardware manufacturer. This level of optimization simply would have been too costly to implement on every major smartphone. So while the performance you will get on the GearVR by squeezing every last drop of power from the phone will be second to none, there is one major caveat: overheating. Overheating is a huge problem with the GearVR, it is literally the only fly in the ointment but it is an exceedingly large fly. While this is not universal for everyone, the vast majority of GearVR users struggle with it, myself included. There are certain titles that I simply can’t play because 6 or 7 minutes in I get the overheat notification and I need to wait for the phone to cool down. There are all kinds of tricks for lessening this effect, from only playing with the headset plugged in, shutting down all other apps, putting the phone in airplane mode, and even putting it in a freezer for a short time, but this needs to be addressed in the next version. The Interface for buying and selecting apps and games is smooth and fluid, to control menus and certain games, you make use of a touchpad on the right side of the headset. To those who have ever used a smartphone, there will be nothing to learn, and even to the uninitiated, there is a great tutorial upon first start-up. That being said, the game library of the Mobile Oculus Store is impressive, and while there hasn’t been anything that I have kept wanting to come back to besides a title called Smash Hit, the real joy of the GearVR is showing it to other people. Its portability is a boon, and I actually just keep it in my car so that I can show it to anyone, anytime. The lead engineer for GearVR, John Carmack has been quoted as saying: “The most fun thing to do with Gear VR is show it to other people”. GearVR is for anyone with an S6, S6 edge, S6 edge+, or Note 5. If you own one of these phones the purchase is a no-brainer. However, it certainly is not worth the cost of buying one of these expensive phones just to be able to use it. There is often some confusion about what is meant when people say Google Cardboard. 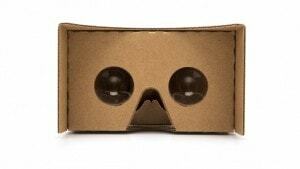 Google Cardboard is not one individual cardboard headset, it is a platform. Anyone can make and sell headsets for it, and anyone can make and sell apps for it, provided they adhere to the standards put in place by Google. 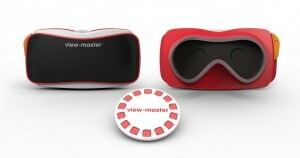 While there is an official cardboard headset put out by Google, many prefer to spend a few extra dollars for a slightly less flimsy solution, such as the plastic Matel Viewmaster headset shown below. The VR experiences provided by Google Cardboard barely even qualify as VR, and sometimes the performance is so terrible it makes users sick, but it doesn’t even matter, Cardboard is brilliant. Google Cardboard has been many people’s first taste of VR (myself included), and for less than the cost of a Pizza you can get your own bite-sized VR that works with the phone you already have. And that’s the kicker, currently there have been an estimated 50 million graphics card sold that are capable of powering a Rift or Vive, but the number of devices capable of running Google Cardboard Apps is well over a billion. The App selection currently is still in its growing stages, but as more and more users download the Google Cardboard app, more and more game developers will start making content for the platform. Even without actual games, watching Youtube or viewing 3D Photospheres in Cardboard is incredibly compelling. It doesn’t really make sense to compare Cardboard to other systems on this list, because it is in a whole different class. Its quality is not good by any stretch, but the point is that it is accessible. Google Cardboard is for everyone who doesn’t own a more high fidelity solution, or for those who want a portable headset that they can bring places to show 3D pictures or videos to friends.